Pink leather bag. 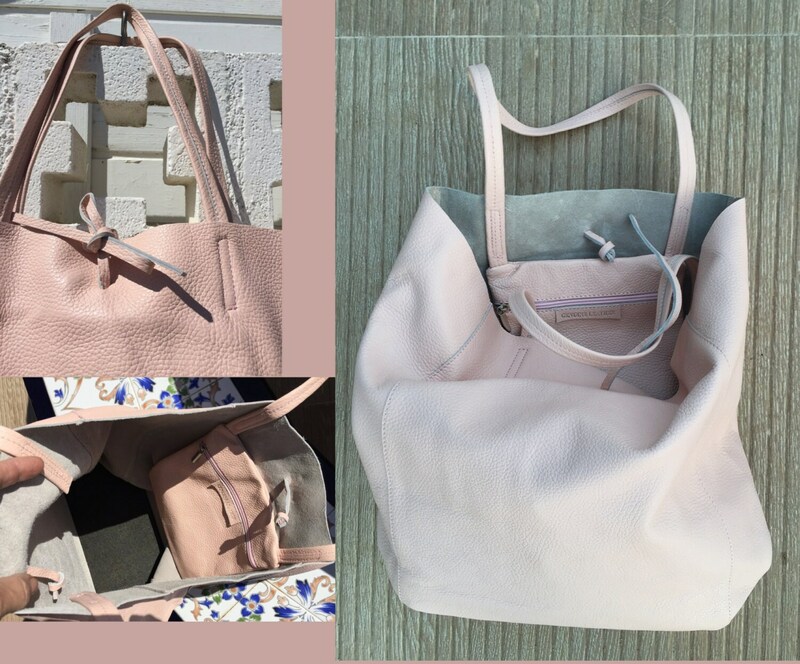 TOTE leather bag in light PINK. Genuine leather. Soft natural leather large bag for laptop, ipad, tablet or books. 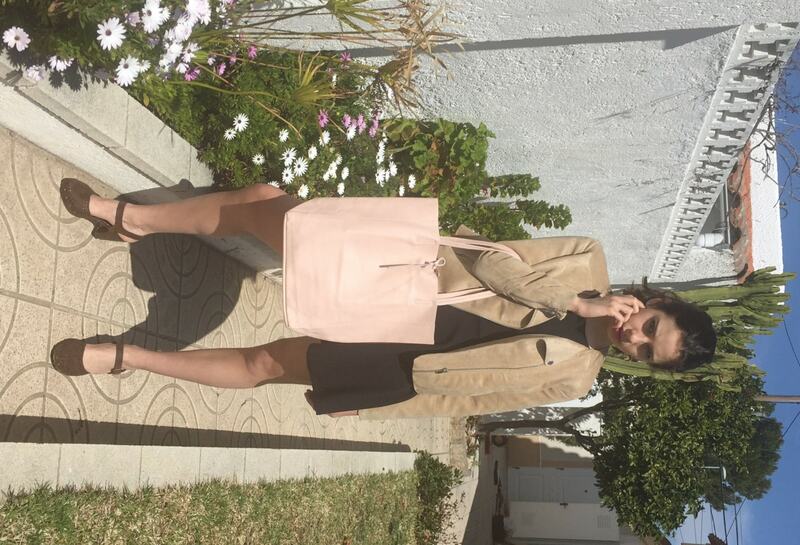 Pink leather bag. 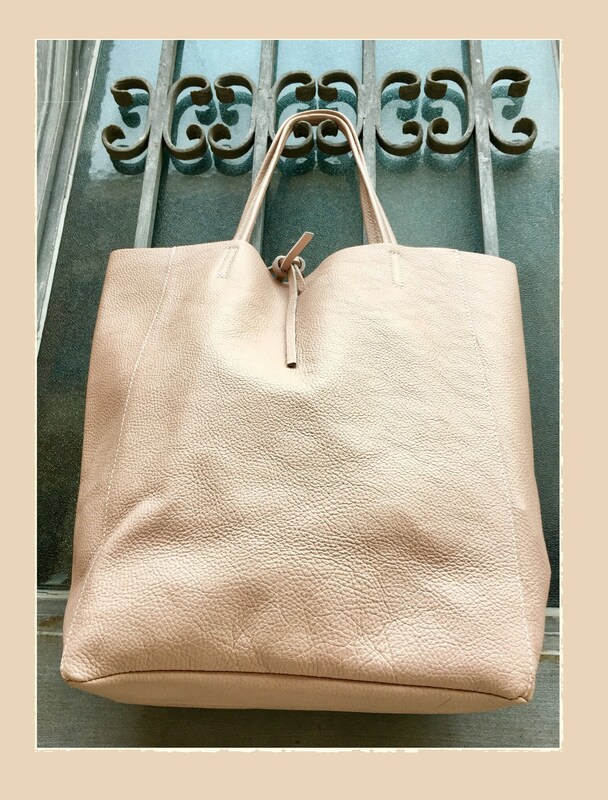 Large tote leather bag in GENUINE LEATHER. 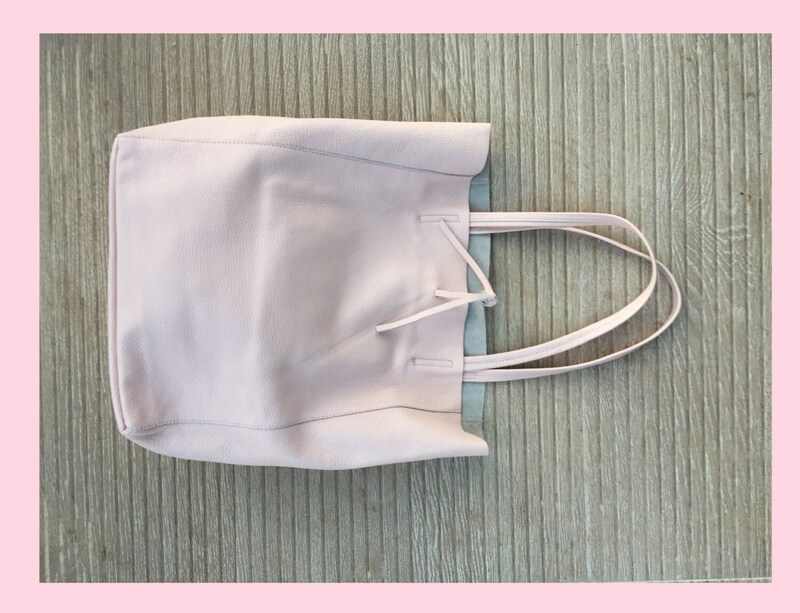 Light PINK tote bag. Large enough to fit your books, laptop, Ipad, tablet etc. It's perfect! Very happy! Thank you!